If you've got noodles on the brain, you're in luck: we've found the freshest New York City eateries to quell your cravings. Here are the newest places to check out the next time you're in the mood for some noodles. Meet Noodles specializes in spicy noodle dishes that originated in Chongqing, China, with its bright red door an indication of the fiery flavors inside. Prepared with Sichuan seasonings and a variety of meats and vegetables, the noodles are topped with garnishes like spring onions and chili oil. Try the beef tendon, pig intestine or pickled fish noodles. Crepes, light bites like chicken wings and a wide selection of fruit juices and teas are also available. Meet Noodles's current Yelp rating of four stars out of nine reviews indicates the Brooklyn newcomer is finding its way, but it's still early days. Yelper Xiao R., who reviewed Meet Noodles on April 5, wrote, "The interior of the restaurant was well designed with Chinese calligraphy and Chinese paintings on the wall. The noodles were actually beyond my expectation. The flavors and the spiciness were at the right level to me." Meet Noodles is open from noon-midnight daily. E Noodle Group is the fourth cafe for the Hong Kong-style noodle joint, which has outposts in Brooklyn and Queens as well. Noodle soup dishes include beef ball, mixed seafood and Japanese-style ramen. The extensive menu also features dumplings, barbecued meats, lo mein and more. Start off with appetizers like braised pork hock, oxtail with curry sauce and fried tofu with hot and spicy sauce. E Noodle Group currently holds four stars out of 17 reviews on Yelp, indicating good reviews. 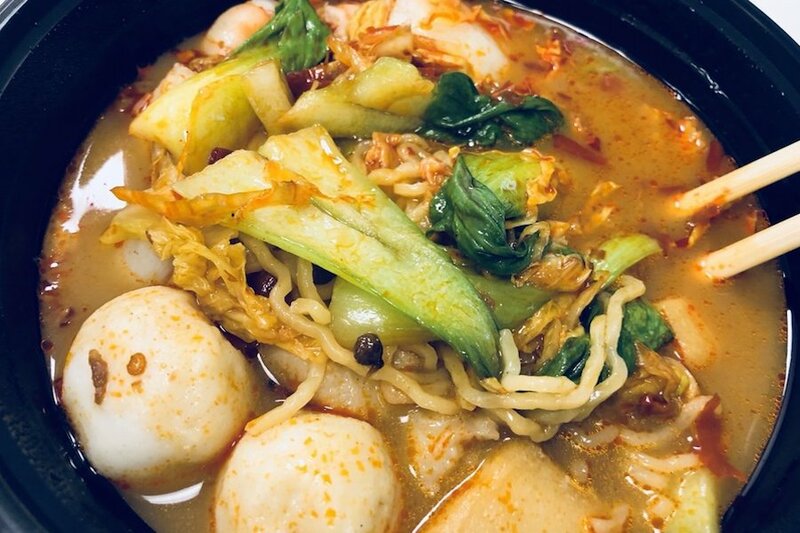 Yelper Tiffany L., who reviewed E Noodle Group on March 23, wrote, "Food is way better than I expected! This place just recently opened, so it's very clean. The food reminds me of Hong Kong." Yelper Kendra C. wrote, "Solid spot for cheap and decent food in Chinatown. Service is good -- waitresses were super friendly and attentive with things like filling water and clearing dirty plates." E Noodle Group is open from 11 a.m.-10 p.m. daily. Bao Bao Cafe, an authentic Chinese noodle spot, was founded by three young professionals from different industries whose love of food brought them together, per the cafe's website. 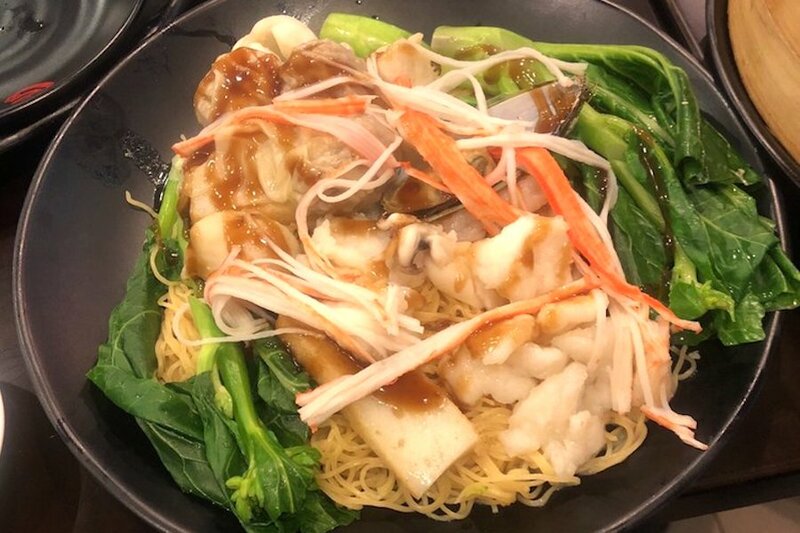 The menu features an extensive selection of noodle soup dishes like The Little Hot Pot with glass noodles, vegetables and Chinese mushrooms; the Bam Bam Noodles, a dry stir-fried dish with minced pork; and seafood ramen with shrimp, fish balls and fish tofu. Rounding things out is a selection of tea drinks, such as chrysanthemum tea and Hong Kong-style milk tea. Bao Bao Cafe currently holds 4.5 stars out of 33 reviews on Yelp, indicating good reviews. 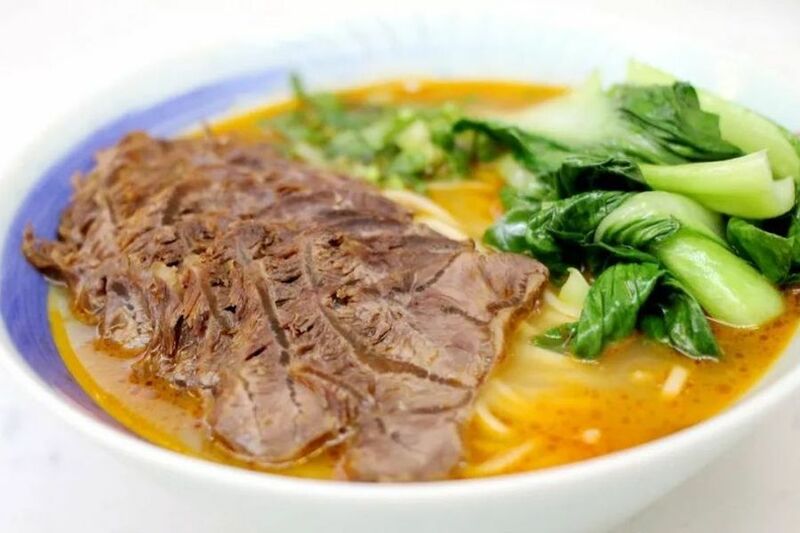 Yelper Rebecca V., who reviewed Bao Bao Cafe on April 14, wrote, "Super tiny noodle place but quick and delicious. The staff was friendly and helpful explaining how to navigate their menu. The food was great, super fresh and spicy in all the right ways." Bao Bao Cafe is open from 11 a.m.-9 p.m. on weekdays and noon-10 p.m. on weekends. The minigrow chain of fast-casual eateries -- with outposts across the country -- continues to grow with the addition of its newest spot. Customers can build their own noodle and salad bowls and add unlimited toppings and garnishes, all starting at $8.95. 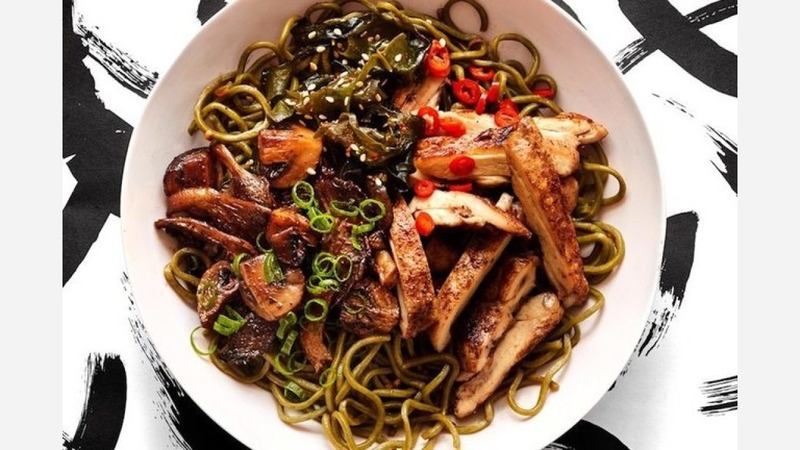 The menu features several different kinds of noodles -- including wheat, spinach and zucchini -- that diners can then customize with protein and vegetables. With a four-star rating out of 37 reviews on Yelp, minigrow has been getting positive attention. Yelper Daniel Z., who reviewed minigrow on April 12, wrote, "I love minigrow! The food is delicious and the staff is very knowledgeable of the ingredients. 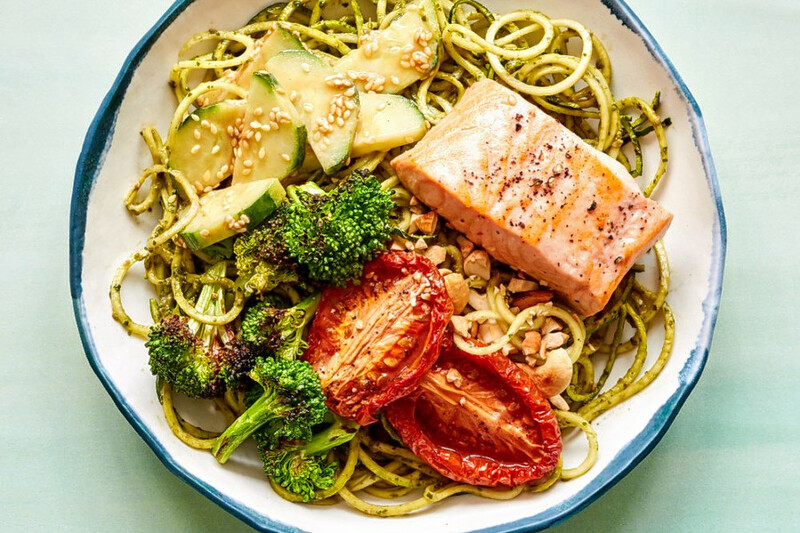 I never had zucchini noodles before but they turned out so fresh and flavorful." minigrow is open from 10:30 a.m.-8 p.m. on weekdays and 10:30 a.m.-6 p.m. on weekends.